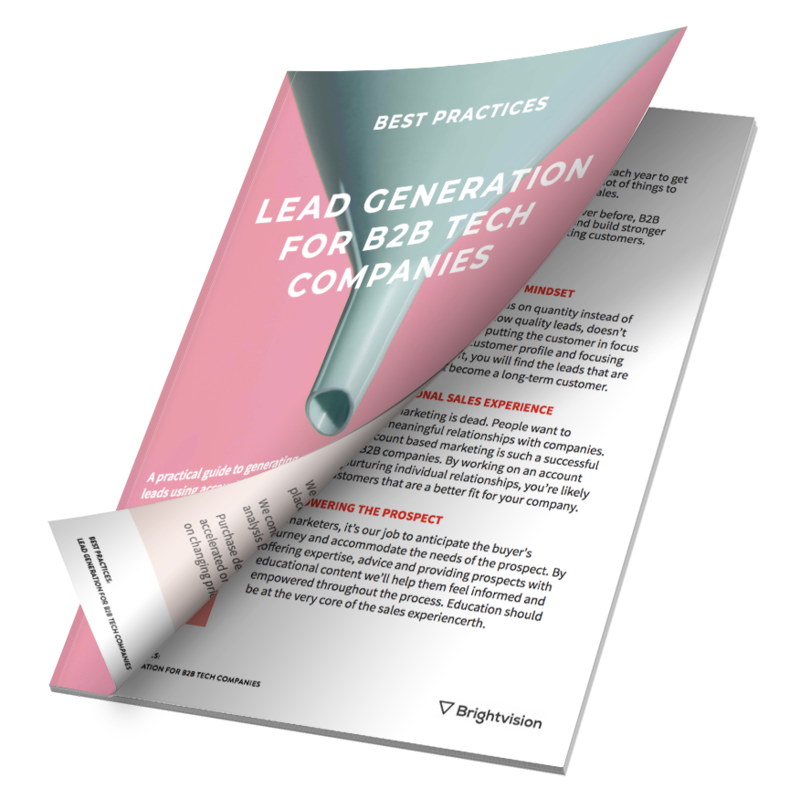 Fill your sales pipeline with qualitative leads using the strategies the world's most successful B2B marketers swear by. Is your sales pipeline empty? 97% of B2B marketers achieve higher ROI with ABM than with any other marketing strategy (Alterra Group, 2018), and businesses that use inbound marketing consistently report an average cost per lead drop by 80% (Forrester, 2018). With those numbers in mind, it shouldn't come as a surprise that ABM and inbound are the B2B marketer's preferred strategies. We’ve created this guide to help you build, improve and scale your B2B lead generation strategy by combining account based marketing and inbound marketing. Let's fill your sales pipeline and make sure it stays that way. What do you say? Are you ready to get started with lead generation? Build a sustainable lead generation engine and keep your sales pipeline busy. Download your free copy now to work smarter with lead generation.